The Free Union of Iranian Workers is unique in several ways. It includes Parvin Mohammadi, a woman, as one of its two leaders. In its statements and analyses , it has opposed the Iranian regime’s militarism, military spending and has also opposed both Iran’s state-controlled capitalism and private capitalists. This union also strongly supports women’s rights and has defended the Girls of Revolution Avenue, women who have taken off their scarves in public as a sign of protest. This article was originally published by the Alliance of Middle Eastern Socialists on February 2, 2019. The co-leaders of the Free Union of Iranian Workers, Jafar Azimzadeh and Parvin Mohammadi were arrested by Iranian regime authorities on Tuesday January 29, 2019 as part of the latest wave of crackdowns on the intensifying opposition among workers, teachers, oppressed national minorities, students and feminist activists. The repressive establishment which supports the bosses, thieves and plunderers, is terrified of the protests of workers against the expropriation of their livelihood and the extensive strikes and protests that are taking place in the face of the economic crises, bankruptcies and shutdowns of factories and large centers of labor concentration. The establishment has fruitlessly found its only means of rescue to be the severe repression, detention and imprisonment of activists and leaders of the protest movements including the labor movement. Now that the time for setting the minimum wage [for the new year] has arrived, they know that the Free Union of Iranian Workers and especially their leaders, Jafar Azimzadeh and Parvin Mohammadi have played an important role in annual labor gatherings and protests against the low level of wages. Now, by arresting them, the security police aim to prevent the protests of workers for an increase in wages. If the repression of protests and the arrests of activists is not met with a response of equal or even greater strength, the lot of the working class and the majority of the people will be even more miserable and horrible. The repression of any labor and social protest and the arrest of any activist and leader of these protests by the repressive establishment has to be powerfully confronted by organizing strikes, street protests and gatherings. 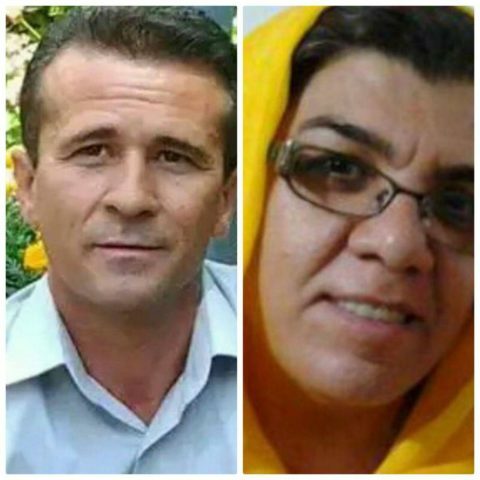 The Free Union of Iranian Workers calls on all labor and human-rights organizations inside and outside Iran to protest the arrests of Jafar Azimzadeh and Parvin Mohammadi, and demand their immediate and unconditional release.